PlayOJO launched in February 2017 and has fast-become one of the top online casinos in the industry. In the first year of operation, OJO has gained over 100,000 players and paid out over £300 million in wins. That’s not all, PlayOJO has picked up a number of awards, including the prestigious EGR Rising Star award after only 8 months of operation. This is unprecedented for an online casino and goes to show that players and peers are appreciating OJO’s fair play proposition. OJO has swiftly risen to be one the industries most talked about online casinos and has paved the way for other online casino operators to follow OJO’s way in fair play. 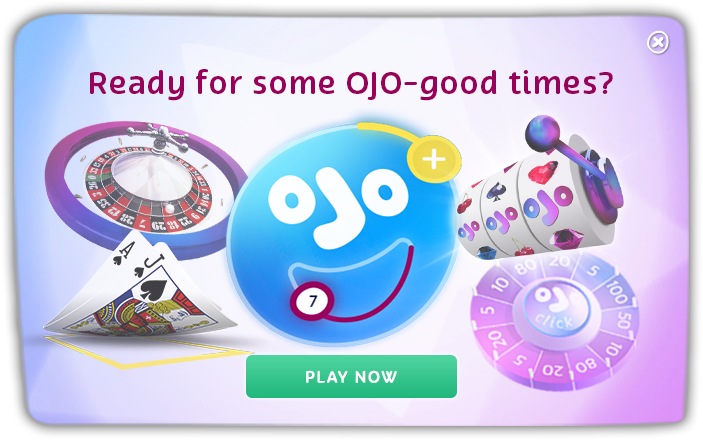 OJO launched to offer players a fairer casino proposition and PlayOJO did that by being the first online casino ever to completely scrap wagering requirements. All rewards are paid in real cash that can be played or withdrawn without any hidden terms to worry about and any restrictions whatsoever. Another innovative feature that OJO has bought to the industry is the exclusive OJOplus feature that gives money back to players on every bet, win or lose. No other casino offers this. To celebrate, OJO is running its BIGGEST ever promotion – OJO’s Fantasy Fortnight. There is £10,000 worth of prizes up for grabs, including a fantasy getaway to anywhere in the world. OJO will jet you off and accommodate you to wherever you want to go, Maldives? India? Jamaica? Cuba? Where would you go? You can also win a £1,500 shopping voucher and heaps more incredible prizes. You can enter OJO’s Fantasy Fortnight competition by going to Reel Spinoffs and getting your ticket. It only takes one ticket to win, so you could end up on top of the leaderboard!